1. Whatever be the field, perseverance is important towards a focused goal. From dawn to dusk, focus should be unwavering with a burning desire to achieve it, with no room for distraction. 2. A positive approach is crucial for success. Negativity can play spoilsport. Have belief in yourself and work hard with a plan and positive outlook. Success will be yours. 3. Hard work has no substitute. One has be relentless. This is the reason for Super-30's success. Its students never give up and strive day and night for success. 4. One exam doesn't determine life's success or failure. Failures are often the stepping stones for success. One should make efforts to learn from mistakes so that timely, corrective measures can be taken. 5. Patience is imperative for success. Sometimes we often fail despite making a real effort. This is where patience is required. One should not get disheartened by failure, rather see it as taking a step closer to success. 6. Don't resort to rote learning, understanding the concept is the key. Understanding theorems and formulae is crucial for problem-solving. Knowing the Whys and Hows should be the goal, the rest will follow. Students know the formula for the area of a triangle - half into base into height. But why it is so? Once students delve into it, the interest in the subject will grow and they will be prepared for any kind of question. 7. Revision has great importance. Even if one has understood the concept, a lack of revision often plays spoilsport. There are two ways of revision. One is to keep revisiting formulas and concepts. However, a better way is to solve problems of different kinds so that one gets to use new concepts and formulae. 8. Many students lay emphasis on selected topics. This is not advisable. In an exam, you never know which topic will account for a higher number of questions. Therefore, focus should be on the entire syllabus. 9. Time management and regularity are essential. No day should go without practice. Without practice, all efforts can go down the drain. Famed musician Beethoven said that if he did not practice for a week, no musician would detect a glitch in his performance, but his guru would certainly detect where he missed the mark. He said that whether anyone else caught a weakness or not, he himself would know and feel the impact of not practicing for even a day. 10. For any exam, studying the problems asked in previous years is quite helpful as it gives students a feel of the pattern and requirements. 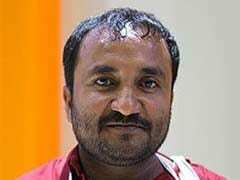 Mathematician Anand Kumar is the founder of Super 30 in Patna, which, every year, coaches 30 students from poor families for one of the most competitive tests in the world - the entrance exam for the Indian Institute of Technology (IIT).